Integrated Investment Systems Inc. • J.W. Cole Financial Inc.
Proactive Advisor Magazine: Ron, talk about your motivation in becoming a financial advisor. Before entering the financial-services industry, I worked long hours in the steel-manufacturing industry and later in heavy-equipment sales and achieved success in both areas. I learned from my parents the wisdom of preparing for the future and putting something aside each month. I worked with several investment professionals and insurance agents and, frankly, never felt that I was receiving the appropriate level of personal attention or adequate explanations for the recommendations that were being made. When I received an offer to join the insurance industry, I resolved to work in a way that always served the best interests of my clients. I devoted myself to becoming well-educated in the field, learning from mentors, and attending many conferences and peer group sessions. My goal is to educate clients about their financial and insurance options and help them come to decisions that are aligned with their objectives. One of the biggest questions that clients have, and one that I have had myself, is, “Who can I trust?” That’s huge today, especially after what happened to people in the financial crisis. People need to have confidence in what they are hearing from the other side of the table. Who can explain to me what I have, why I have it, and why this is the best thing to do? Having someone you can trust and someone that will put your needs above their own is at the core of what we do for clients. We started this company to make sure we are a trusted and knowledgeable resource for clients. Describe your overall business model. When clients engage with our firm, they are truly involved in a holistic financial-planning process. Our goal is to make sure they are educated and served across the full range of their financial needs. We think our business model is different in that we bring together separate professional firms under one roof—we work with individual clients, families, and businesses using a team approach. We think this enables clients to integrate their financial planning and decision-making without the difficulty and inconvenience of putting together a team of trusted advisors on their own. We are used to working together on behalf of clients, communicating constantly with each other. We can also communicate with clients effectively on day-to-day matters and their account reviews. If clients have other advisors that they would like to continue to work with, that is fine. We take the initiative to consult with our clients’ other advisors, such as legal and tax professionals. Our independent firms provide guidance in the areas of financial planning, investment management, retirement planning, estate and legacy planning, life insurance, individual and business property and casualty insurance, budget counseling and tax preparation, Medicare supplemental insurance and long-term-care planning, identity protection, and legal and other professional business services. We sincerely care about helping clients make important life decisions that can affect them now and in the future. We believe that a team approach is an effective and efficient business model to help clients make those decisions in a disciplined, integrated, and well-informed manner. What types of clients do you work with, and how do you approach the planning process? We work with a broad range of clients. Many are in their retirement years, but we also have a significant segment who are over the age of 50 and want to take the critical step of starting to plan for retirement. We work with clients in their 20s and 30s who are just starting to think about investing for the future. We help them get off to a sound start on their long-range planning and can add a lot of value in the areas of budget counseling and tax planning. We work with couples, families, and individuals—anyone who wants to own their financial future. The common thread that tends to define our clients is they have strong values and are family-oriented. They’re hard workers and honest people. They want to live comfortably in retirement, and they want to give something to their family when they’re gone. They want to manage their tax exposure and preserve their hard-earned assets. They want to be responsible stewards of their money, and they recognize that they could use some experienced guidance. Our planning process with a new client is very robust and takes about 90 days. Our detailed onboarding process is covered in a series of seven meetings. Each meeting has a specific agenda, except the seventh, which is dedicated to what the client wishes to discuss and identifying next steps. Throughout the process, we will use sophisticated financial-planning software that allows us to view different planning scenarios and enables clients to maintain a real-time vault of key financial documents. The details of the seven-meeting process are proprietary, but we want to address some important objectives for all clients. We employ a thorough discovery process that covers their overall financial picture and life objectives. We work hard to get an accurate assessment of their risk profile. The integrated financial plan we strive to develop will address short- and long-term objectives and will frequently include a strategy for retirement income. By the end of the process, our goal is to help clients become well-organized from a financial perspective; understand the role of various strategies and products in their financial plan; and understand how their financial, insurance, tax, retirement, and legacy strategies work together. We are transparent about how we are compensated and can work with clients in a number of different compensation arrangements, depending on their needs and desires. Investment planning is part of our onboarding process and will only happen once we have helped clients identify their broader financial-planning objectives, their risk assessment, and their time horizon. Investment planning is goals-based and, for many of our clients, is directly tied to planning for retirement income. We work closely with experienced third-party investment managers who have proprietary strategies and a strong risk-management orientation. Our managers consult closely with us to help determine overall portfolio allocations and a blend of strategies that are appropriate for a specific client’s risk profile and investment objectives. Ron Hoyle with his wife and two sons. Clients who are close to or in retirement tend to be conservative or moderately conservative. While they seek portfolio growth, they also worry about portfolio losses. We want to work with investment managers with an approach that is philosophically aligned with this client mindset. We also have more aggressive clients who are seeking all the growth they can and are less concerned with shorter-term risk. We will help find the appropriate investment management style and strategies for that client as well. The key to our investment-planning process is setting realistic, achievable objectives with the client and then managing expectations throughout different market cycles. Third-party investment managers play an integral role in that process. I look to them to execute their strategies consistently and according to their stated objectives, and to handle the day-to-day monitoring of client portfolios. That allows me to focus on the big-picture elements of the investment plan and to handle the day-to-day client relationship. How would you like a client to describe the experience of working with your firm? I think foremost is the fact that we value them as more than just a client. Our offices are welcoming, more like a home than an office, and we consider our clients to be part of our family. I hope they feel that way also. I also hope that clients feel we have had a life-changing impact on how they view and manage their finances. “Get your house in order” is one of our catchphrases, and we work hard to help our clients achieve that. Finally, I think our clients would say that we are comprehensive in our team approach to planning. That, I believe, is one of the largest differentiators for our firm and an approach that works hard to serve our clients’ total financial needs. Completing a thorough discovery process that covers the client’s financial picture and life objectives. Developing an accurate assessment of the client or client couple’s risk profile. Formulating a comprehensive financial plan that addresses short- and long-term objectives. Creating a timetable for strategy implementation. Implementing a team approach to a client’s total financial needs through a business model that includes relationships with professional-services firms. Providing clients with tools to become better organized in their financial lives. Setting up customized schedules for periodic client reviews. 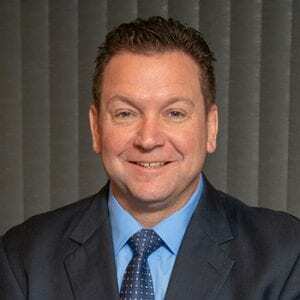 Ron Hoyle is the founder of Integrated Investment Systems Inc., located in Peoria, Illinois. Integrated Investment Systems provides a wide range of financial products and services to individuals and business clients, including financial and investment planning, retirement planning, insurance, legacy planning, and guidance on long-term care, health insurance, and Medicare supplemental insurance. 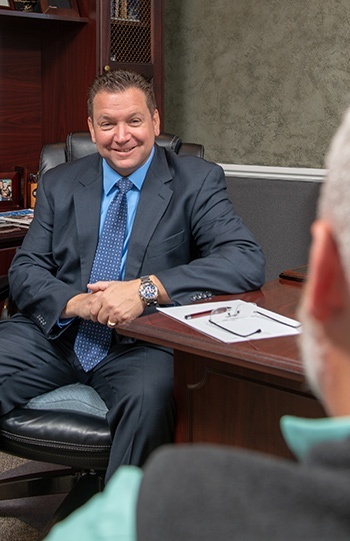 Mr. Hoyle’s firm works closely with independent firms that provide property and casualty insurance and tax preparation services, as well as an attorney specializing in estate planning. Mr. Hoyle was born and raised in the Peoria area. His father was a city water commissioner and small-business owner, and his mother was a florist. He says, “To this day, I always enjoy giving people flowers.” He worked part time at his father’s business during his high school years and then attended community college before joining the Navy. As a Navy aviation electrician, he earned the Military Excellence Award and was deployed on an aircraft carrier in the Persian Gulf. Following his military service, Mr. Hoyle worked in the steel-manufacturing industry and heavy-equipment sales. Mr. Hoyle and his wife have two teenage sons who are active in a variety of sports. They enjoy spending time together as a family and participating in school activities. Mr. and Mrs. Hoyle are founding a biblically inspired nonprofit organization dedicated to “helping the poor, orphaned, and widowed.” Mr. Hoyle is involved with other faith-based charitable activities and assists the community in many ways. Disclosure: Securities offered through J.W. Cole Financial Inc. (JWC). Member FINRA/SIPC. Advisory services offered through J.W. Cole Advisors Inc. (JWCA). Integrated Investment Systems Inc. and JWC/JWCA are unaffiliated entities. Tax services are not offered by JWC/JWCA. Non-securities-related services offered by Integrated Investment Systems Inc. are not provided in their capacity as registered representatives and/or investment advisor representatives of JWC/JWCA.